Gordon and Maggie Hartman opened Morgan’s Wonderland, named after their daughter, in 2010 as an inclusive park that those with and those without special needs can enjoy together. Since opening, the park has seen roughly half-a-million guests from all over the world per year. Thanks to the success of the park, the Hartmans have decided to open a brand new one-of-a-kind attraction. Morgan’s Inspiration Island will be the world’s first completely accessible water park. The new addition will overlook the theme park’s catch-and-release fishing lake and will feature a seven-story tall lighthouse as its icon–a fitting piece for the colorful tropical theme. The $17-million project will feature a river boat adventure that will explore a tropical jungle, complete with animal sounds. Guests can also enjoy five different water play areas that will include falls, pools, geysers, water cannons, tipping buckets and more. Every element in Morgan’s Inspiration Island will be wheelchair accessible. 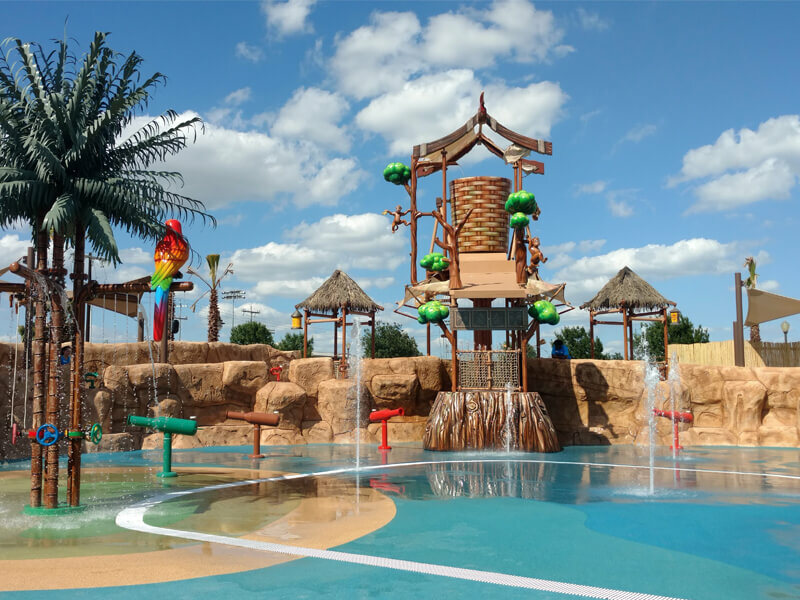 Parents will be able to track their children with waterproof RFID wristbands and–most impressively–guests will be able to adjust the water temperature in one of the play areas. Morgan’s Inspiration Island opens June 17. Visit MorgansWonderland.com for tickets and information.